Check out God's Final Jubilee YouTube Channel! Check out these DVD's found in our bookstore! Welcome to the God's Final Jubilee Ministries Website! Thank you for visiting our page. Please check out the Bookstore page to purchase my books or DVD's. We welcome you to join our Facebook page, subscribe to our God's Final Jubilee YouTube Channel and you can also join our God's Final Jubilee Program podcast. 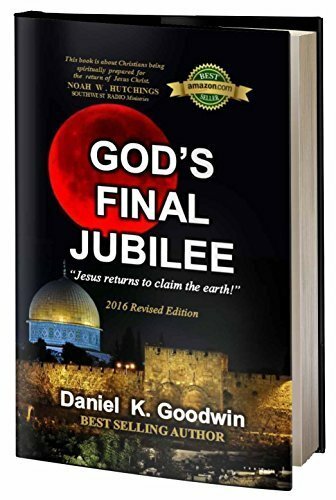 You may also sign up for our weekly God's Final Jubilee Newsletter. Check out these books and more in our bookstore! If you are outside USA and Canada...click the link below to purchase my books on Amazon.